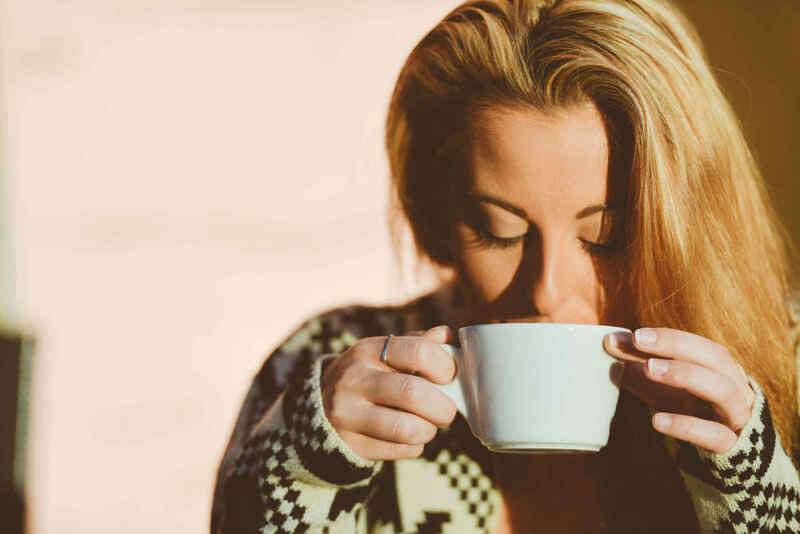 Whether you’re just curious, or looking to find out why you’ve been having headaches, anxiety, and restlessness, you might want to take a look at caffeine. How much caffeine in a cup of coffee is there, you might be wondering? If you’re like most, you’re very likely getting some amount of caffeine on a daily basis. But how much is enough? And, how does it affect your body? We’ll do our best to answer all of these questions one by one, in great detail and based on hours of research and a lifetime of drinking coffee. This is why it’s important to understand caffeine in general, and a lot of us get our caffeine from a delicious cup of coffee. But it’s all about regulating it, so we don’t end up spazzing out like that rabbit. There are a fair number of things to talk about here in this article, so use this handy table of contents to navigate your way around. What Kinds of Effects Does Caffeine Have On Your Body? Negative Side Effects of Caffeine? How Much Caffeine is in Commercial Brands? Figures adapted from Journal of Food Science, 2010; Pediatrics, 2011; Journal of Analytical Toxicology, 2008; USDA National Nutrient Database for Standard Reference, Release 26; Journal of Analytical Toxicology, 2006; Starbucks, 2014; Food and Chemical Toxicology, 2014. Caffeine is a stimulant, and the world’s most widely consumed psychoactive drug. Here is a glamorous photo of caffeine in its chemical compound form. It’s often found in a variety of beverages, most commonly coffee. It’s used to stimulate your heart, your muscles, and your central nervous system. However, don’t be afraid of the term “drug”. Everyone takes drugs, whether it’s a Tylenol or, as it is now legal in Canada, cannabis cigarettes. Since caffeine also is a “drug”, that means drinking a Coke is “taking drugs”, and so is drinking coffee. Anyway, you shouldn’t have any issues with caffeine, as long as you stay within some specific boundaries. It’s also true that some people are particularly sensitive to it and should be more careful as to how much they consume. It’s actually estimated that around 90% of the American population consumes caffeine on a daily basis, in one form or another. Caffeine is known to counteract the effects of the chemical adenosine. Caffeine does this by blocking its receptor sites in the brain. Throughout the day, our bodies produce adenosine, so we can fall asleep at night. When ingesting caffeine, it counteracts the effects, making us feel awake and energized. You should also know that many drinks that have caffeine, such as tea and coffee, have other health benefits that aren’t directly related to the caffeine inside them. For example, the flavonoids in tea have anti-inflammatory properties. You’ll find these effects even in the decaffeinated versions of the drinks, too. The actual question could be how much caffeine is too much for you, but nevermind that. We’ll answer both. The first thing to note is that caffeine can make anxiety worse, and even make it difficult to sleep. Even though often used for concentration, it can sometimes make it more difficult. However, how much caffeine it takes for these side effects to occur with you, is difficult to say. A number that’s often mentioned is 400 milligrams a day, but each person’s tolerance is different, so this number may well vary. Also, it should be noted that the Dietary Guidelines for Americans (DGA) recommends pregnant women, as well as breast-feeding mothers, to check with their health care providers to see what is a healthy amount of caffeine consumption for them. 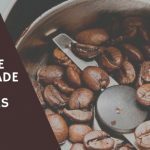 We touched upon the adenosine aspect of how caffeine battles with adenosine to decide whether you’ll be able to rest or not, and so let’s discuss this a bit further. You should know that every process in our body is the result of a network of chemical signals. Most of us know that. Two of the most important ones are neurotransmitters and hormones. Caffeine achieves the effects that it does by altering some of those neurotransmitters and hormones’ actions. As we said, it binds itself to the adenosine receptors, preventing them from doing what they’re supposed to do. Once it has done that, it alters the functions of other neurotransmitters and hormones. Then, it affects our adrenals – they produce the hormones epinephrine and cortisol. These are the hormones that increase your heart and respiration rates, and cause muscles to relax. Caffeine increases epinephrine by 250%, thus creating a stress response to stimulate our bodies. Of course, some people are specifically after this stimulation, and that’s why they drink more caffeinated drinks like Red Bull and those types of energy drinks. If this is you, then you are probably looking to feel less fatigue for one reason or another. Caffeine can definitely help you with this with this. Also, caffeine increases how much serotonin circulates in the nervous system. This is why your mood is also elevated when you drink something with caffeine, not just your energy levels. Caffeine is usually consumed in the morning, to kick start your day. You’ll find that sometimes it’ really hard to get yourself out of bed, but a sip of coffee can help quite a bit. The caffeine will jump-start your body, making sure you’re prepared for the day ahead. Of course, if you’ve already had a good nights’ sleep, you shouldn’t really need any assistance getting going. That said, for some, a “good night’s sleep” can be 10-12 hours, and a lot of people just don’t get that. Especially people who work a lot, or work odd hours. Sometimes coffee, and the caffeine it contains, it a more pleasurable way to get yourself up and at ’em. Caffeine can also help with cognitive performance. It can help you think more clearly, with both short term memory and systems processing improving when an individual uses low to moderate amounts of caffeine. Last but not least, caffeine helps athletes improve both muscular power and endurance. They notice improvement both in the training sessions, and in their overall performance. It makes sense, because you have more gas in your tank when the caffeine is in your blood, and more pep in your step, so you can do more reps!! Unfortunately, there are negative side effects to caffeine as well. They’re noticeable when you go a bit further with your caffeine intake than you should. When drinking caffeine, yes, you feel more alert and more awake. However, you should be careful as you also might experience some downsides. These side effects include, but are not limited to, nausea, vomiting, insomnia, stomach irritation, nervousness, headache, agitation, chest pain etc. As we said, everyone reacts differently to caffeine, and some of us actually handle it better than others. For example, it has been proven that caffeine makes bipolar disorders and anxiety disorders much worse. Considering the effects it has on your heart, you should also be careful with it if you have a heart condition. These are but a few examples, but the general idea is that you don’t want to push things too far with caffeine. It’s easy to do so, and the effects won’t be that good. Unfortunately, yes. Even though these problems won’t appear until you’re already consuming too much caffeine, you should be aware of them. For starters, over time, your body will become accustomed to caffeine. It’s an addictive substance. Stop drinking it, and your body will be thrown off balance. This will lead to the withdrawal symptoms that you experience if you stop drinking caffeine. The most notable ones are headaches and fatigue. It’s also worth knowing that regular use of caffeine can suppress the absorption of iron, and decrease B-vitamins levels. In extreme cases, this might lead to anemia. How Much Caffeine in a Cup of Coffee, Then? Before we go with the “this kind of coffee has that much caffeine”, there are a few other things to discuss. For example, what affects the levels of caffeine in a typical cup of coffee? There are quite a few coffee bean types available. Naturally, they may have different amounts of caffeine. The most common one around the world is Arabica coffee, derived from the plant of the same name. It’s no secret that around 70% of the world’s coffee actually comes from Arabica beans. However, they don’t have as much caffeine as some other types. Robusta beans, on the other hand, have almost twice the amount of caffeine compared to Arabica. Therefore, if you want a better buzz out of your morning coffee, ask for Robusta beans. During the roasting process, the beans lose water and expand in size. However, there’s another thing that happens in the meantime. The longer you roast the beans, the more caffeine gets lost. Therefore, a lighter or a medium roast will have more caffeine than a dark roast. Yes, the dark roast does have a stronger flavor, but you won’t get as much of a buzz. This is also a big factor. 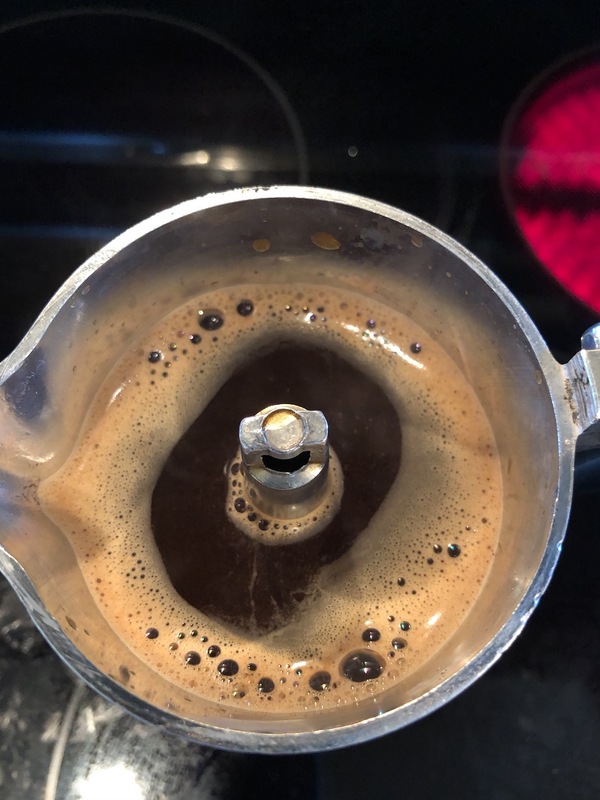 When making coffee, water passes through the grinds. This extracts flavors, and consequently, caffeine. A finer ground coffee has a larger surface area, so more caffeine is extracted. This is one of the reasons why espresso has more caffeine – it’s made using a finely ground coffee. In terms of coffee grinders, we always recommend conical burr grinders as being the best coffee grinders, especially when you want to adjust and / or control your grind size, before moving on to your type of brew method, assuming you are doing all of this at home. It’s not just the grind, though. The temperature of the water has a big impact, too. Hot water tends to extract much more caffeine than cold one, resulting in a stronger coffee. When we measure caffeine, it is done in milligrams, or mg.
People sometimes ask us, what does caffeine look like by itself? Well, you might be surprised what it actually looks like. Here it is, under an electron microscope. That’s 0.0016th of an inch, or 40 microns long. Pretty wild, right? We’ll start things off with regular brewed coffee. It’s the most popular way of making coffee, both in the US, and in Europe. 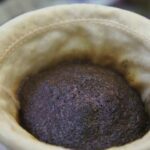 It is made by pouring hot, or boiling water, over ground coffee beans that are commonly contained in a filter. A single cup (8 oz) usually has between 70 to 140 mg of caffeine, with the average being around 95 mg.
Espresso, on the other hand, is made by forcing hot water through coffee beans that are finely ground. Even though it has more caffeine per volume, it actually has less per serving, since the espresso servings are commonly small. A single shot of espresso (1 oz) usually has around 63 mg of caffeine. A double shot, consequently, has around 125 mg.
Next we have espresso based drinks. These include crowd favorites, such as macchiatos and lattes, as well as a few others. Since the additional milk, or water, added to them, has no caffeine, these drinks have just as much caffeine as a regular espresso would have. Instant coffee, made from brewed coffee that has been sprayed or freeze-dried tends to be somewhat weaker than regular coffee. A single cup of instant coffee has around 30-90 mg of caffeine. People also ask, is 200 mg of caffeine a lot? Well, considering that Mayo Clinic states that your average adult can have up to 400 mg of caffeine per day, which amounts to two 12 oz cups of coffee, it looks like most of us would be totally OK consuming at least one fully caffeinated 12 oz cup of coffee. Last but not least, we have decaf, or decaffeinated coffee. Don’t let the name deceive you – it’s actually not entirely caffeine free. On average, there’s between 0 and 7 mg of caffeine per cup. However, depending on the type of coffee, decaffeination method, as well as cup size, it may be even more. You might think that commercial brands have more or less the same amount of coffee per serving. And you would be wrong, in most cases. For example, if we take Starbucks, it’s probably the most well-known coffee shop, worldwide. They have some of the most caffeinated coffee available. A shot of espresso has 75 mg of caffeine. Consequently, all small espresso-based drink also have that same amount. A Short coffee has 180 mg, a Tall has 260 mg, a Grande comes with 330 mg, and a Venti has around 415 mg. Their decaf coffee also tends to have more caffeine, between 15 and 30 mg, depending on the cup size. Next, we’ll discuss Dunkin Donuts, another very popular chain. They also have a bit more caffeine in their drinks. Their espresso has around 75 mg, with all espresso-based drinks having the same as a consequence. Their decaf coffee isn’t decaf at all, because it has 53 mg of caffeine in a small cup. A small cup has 215 mg, a medium one has 302 mg, their large cups come with 431 mg, and their extra large has as much as 517 mg of caffeine. Last on our list is McDonald’s. They have somewhat moderate amounts of caffeine, certainly less than Starbucks and Dunkin Donuts. 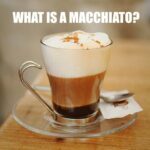 The espresso has 71 mg of caffeine per serving, with their decaf coffee coming in between 8 and 14 mg.
A small cup has 109 mg, a medium one 145 mg, and their large cups have around 180 mg of caffeine. If you don’t want your daily intake in a single cup, McDonald’s might be the way to go. The thing is, this is actually very possible to get mostly benefits and none of the negatives of caffeine if you are well educated on the topic (thanks to this article, of course!) and in control of what you consume. You’ll need to somewhat limit yourself, but if you’re feeling adverse effects from caffeine, that would be a smart move. To begin with, don’t consume caffeine every day. Yes, daily coffee drinkers will have an issue with this. 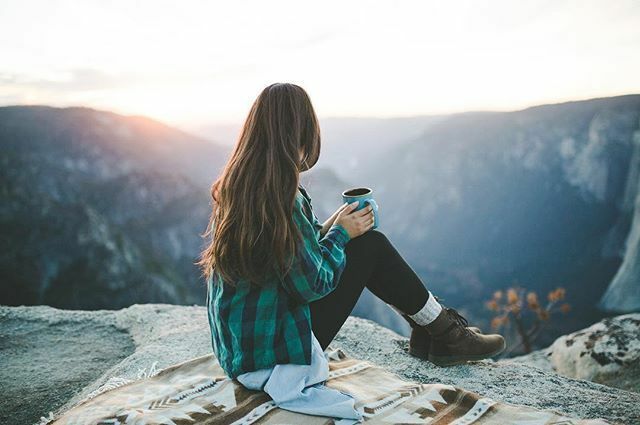 Even though caffeine-containing drinks are best avoided on a daily basis, if you really have to, try to limit yourself to a cup or two per day. Next, you’ll need to find the right dose of caffeine. If you start feeling jittery, you can be sure you’re exceeding your limit. However, if you don’t feel any effects, you can bump up the dosage. Last but not least, try some alternatives. Cacao, or unprocessed chocolate, has similar effects on your body. Instead of interacting with the nervous system, it stimulates blood flow throughout the body. This brings more nutrients to your brain, and in turn, you feel more alert, like you have more energy. To sum things up – how much caffeine in a cup of coffee there is can vary by a lot. How much caffeine you need, and can drink, also varies from one person to another. Unless you’re feeling jittery, and are noticing some of the side effects associated with caffeine, you should be good. But if you’re having issues, you should consider cutting back some. 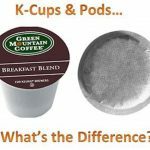 K-Cups Vs. Coffee Pods – What’s the Difference?